Welcome, all to the Aboriginal Friendship Centre of Calgary. I welcome you to Treaty 7 Territory and the traditional land of The Blackfoot and the Metis peoples. We at the AFCC strive to give the best possible experiences to those that come through our doors and do our best to make sure that all questions are answered with a smile. 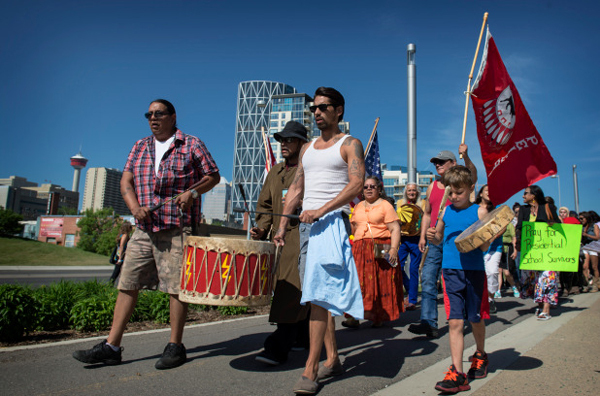 The Friendship Centre Movement has a long history of bringing people together from all areas of Canada and beyond and Calgary is no different, we pride ourselves on bringing Indigenous based Cultural programs and services to all that wish to come and participate. The importance of contributing to the continued education of our Cultures to the public is a vital piece of what we do, working with our Community partners to continue to make Calgary shine and to always showcase the Indigenous peoples of this great city. We at the Aboriginal Friendship Centre of Calgary want everyone to have an amazing experience when you walk through our doors and encourage everyone to come visit us. We have many wonderful programs, services, and community events and I encourage you to peruse our website and come down and visit the centre.